It was a very Windows day, with Microsoft unveiling lots more about Windows 10, the next generation of its operating system, including how it will work across mobile, tablet, desktop and other platforms. 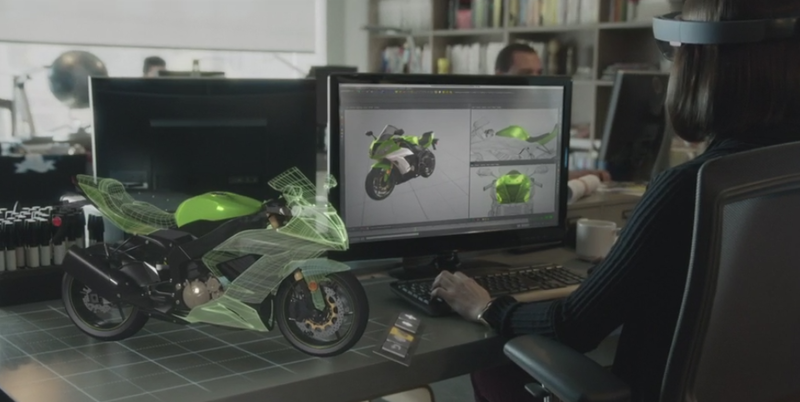 The biggest surprise was probably the new HoloLens augmented reality headset Microsoft created, and the Windows Holographic software it built to support said gadget. But there was more, too, so read on for a summary of everything you need to know about the event. Windows 10 has been available as a technical preview before today, and already Microsoft has signed up a sizeable testing contingent from the general public. The company revealed that over 1.7 million users are participating in the Insider program that provides access to early builds of Windows 10 ahead of its general release. 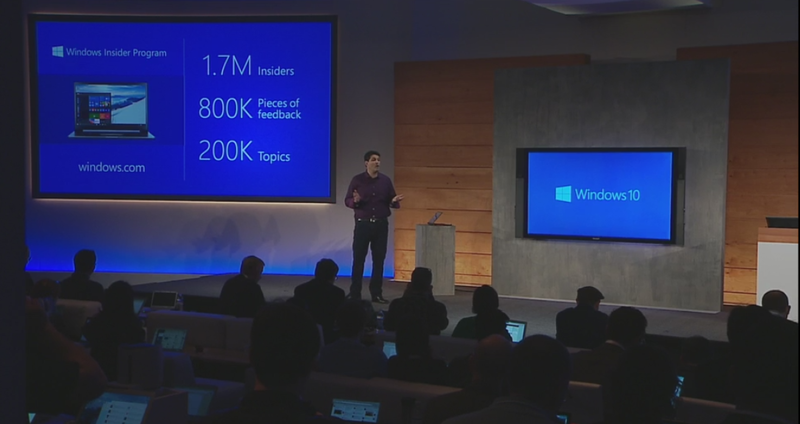 A good number, but now surprising given there are likely over 1 billion Windows users worldwide. 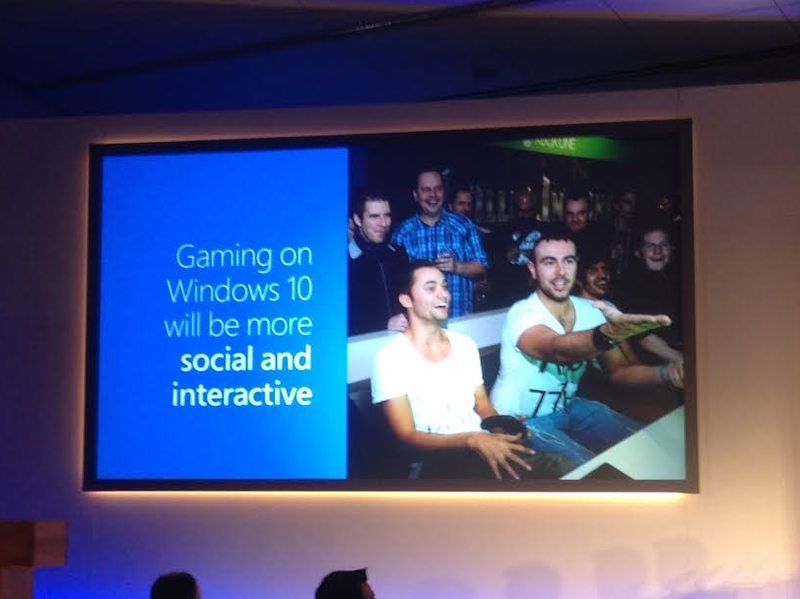 You get a Windows 10! And you, and you! Yes, Windows 10 will be a free update, for users running Windows 7 or Windows 8.1 on PCs or notebooks, and for Windows Phone 8.1 users on mobile. But that offer’s only good for a year, so Microsoft isn’t totally killing the notion of a free update. Unless it’s only free for a year because after that comes Windows 11, which is also free for a year, and so on and so on. 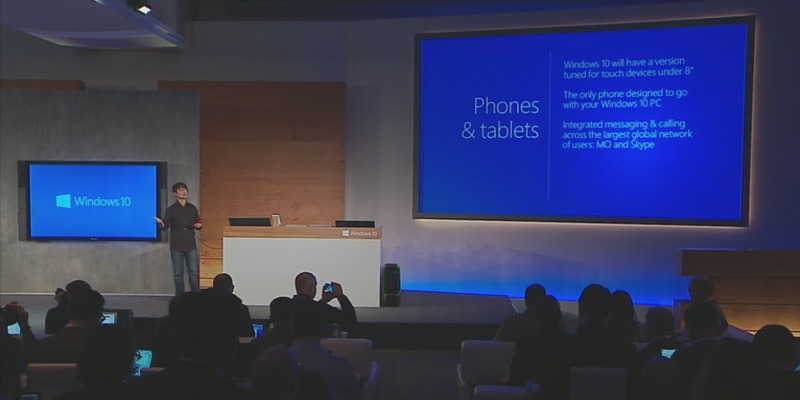 Phones and tablets get Windows 10, just like everything else Microsoft can put it on. On mobile, we got a pretty brief look at it, and in many ways it resembles Windows 8.1, with improved notifications (which sync with your desktop), better Settings menus, and UI refinements. The best thing about Windows 10 on mobile might be that it integrates Skype right into both the phone app and messages, like a Windows-friendly iMessage/FaceTime. 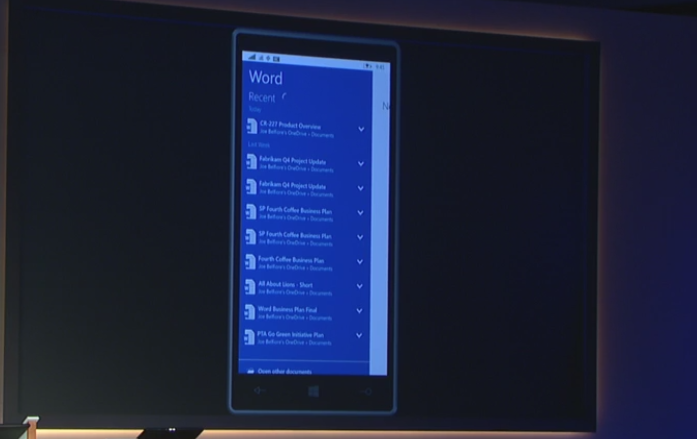 That’s right, Word, Excel and PowerPoint are all going to arrive on Windows Phone for smartphones and small tablets, which are optimized for touch. No longer will MS lag iOS and Android in mobile versions of its own productivity software! Microsoft is trying to build a true, cross-service social network from Xbox on Windows 10 that spans services including Steam. It’s like Facebook, but for gaming achievements instead of baby pics! 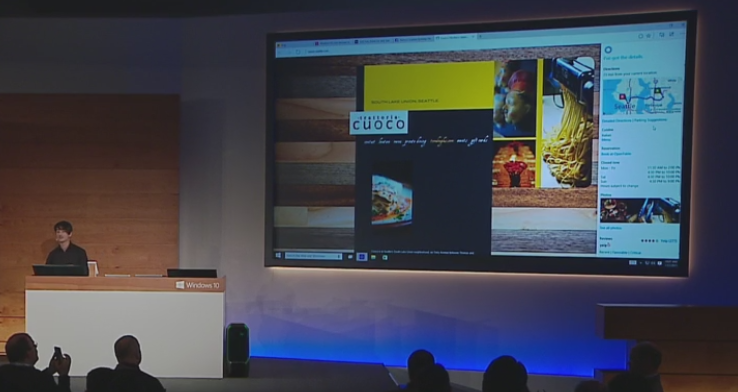 Internet Explorer will have to share the browser stage in Windows 10 with Spartan, a new browser built from the ground up for speed, Cortana, collaboration and simplicity (Spartan, get it?). 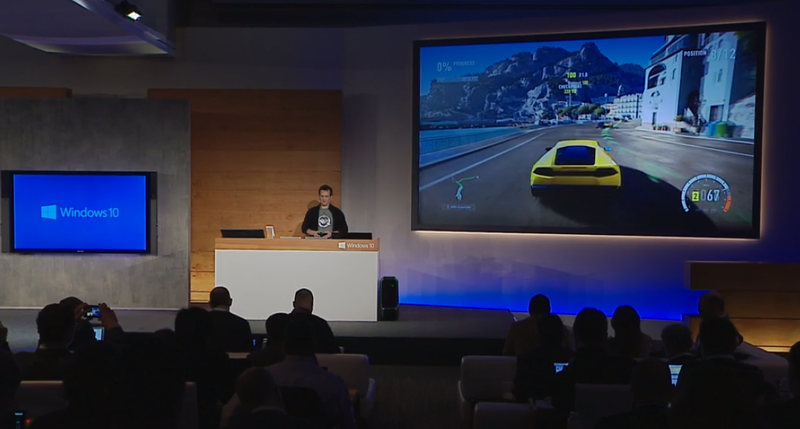 Streaming your gameplay to Windows 10 PCs and large tablets will be a real thing when the new OS launches, letting you play anywhere in your home from your Xbox One without wires, so long as they’re on the same network. This is basically like PS4 Remote Play, but more useful since it works with basically any Windows 10 PC. 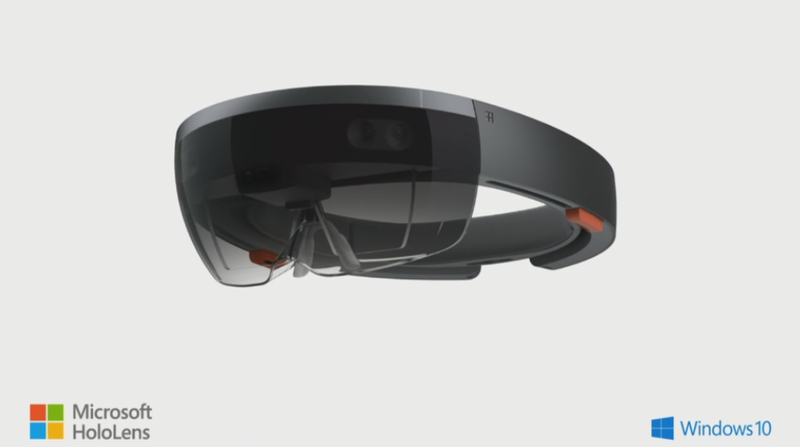 MS is taking matters into its own hands with a headset to support Windows Holographic. The hardware was in good enough shape that Redmond offered journalists on hand at today’s event demos, and our own Alex Wilhelm came away mightily impressed. It has transparent lenses so you can see the world around you, but overlays a digital image that places virtual objects in your surroundings.